It has been said to us a few times since arriving that South Africa has no middle class. As we took the multiple hour journey from Mafikeng to Johannesburg today, it was quite evident. We drove through shack town after shack town, dotted by the occasional small town or mine in the distance, only to arrive in the very nice Rosebank area of Johannesburg with ‘welcome drinks’ waiting at the hotel. We have returned from rural Mafikeng to urban Joburg for our final #IBMCSC presentations to the client and IBM Thursday and Friday. 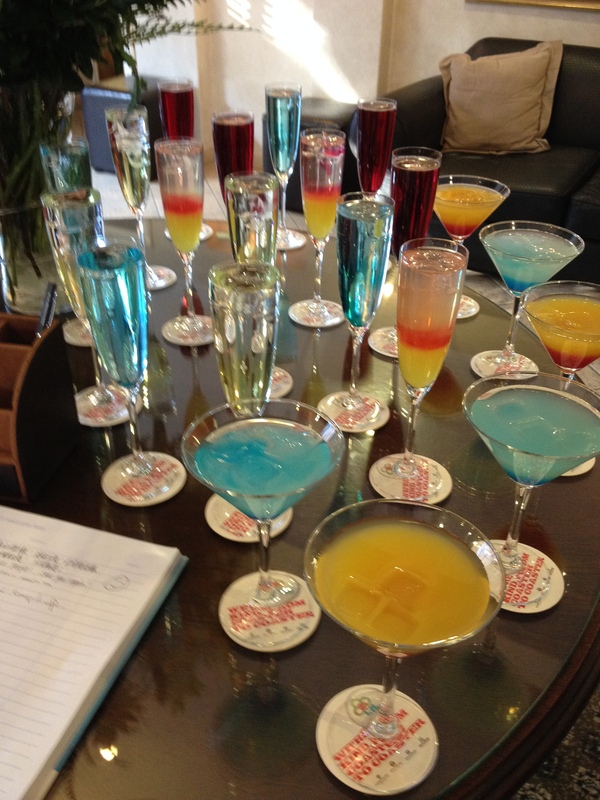 We’re in our in-person meeting enjoying your cocktail pics! Don’t let the pic fool you … It’s almost 11 pm and we are still creating and editing charts for tomorrow’s pitch. Send a pic of the NY team! !